Repro Products, Inc. is proud to be a continued supporter of the Orange Duffel Bag Initiative. 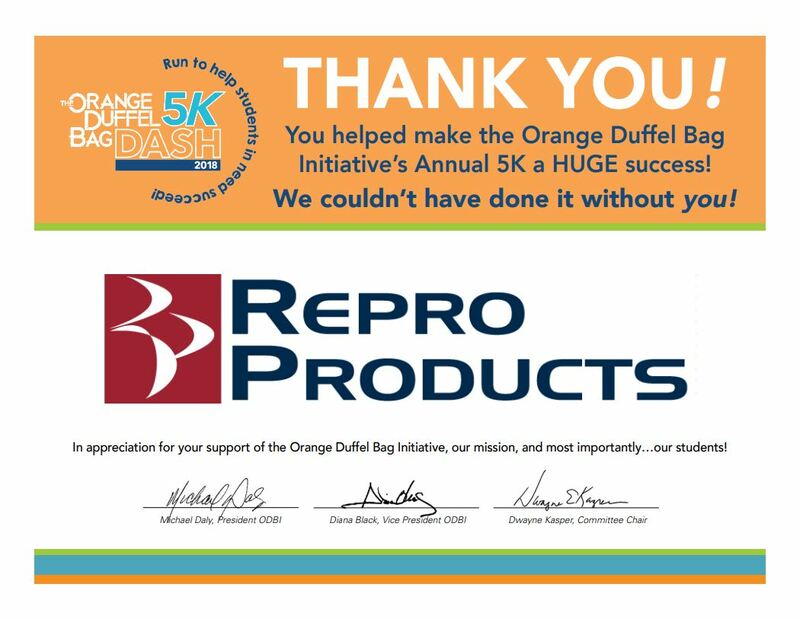 Repro Products recently sponsored the Orange Duffel Bag Dash 5K on April 28th 2018 at Garrard Landing Park. The goal of the initiative is to create community partnerships and achieve collective impact for positive systemic change and measurable results on behalf of our nation’s most vulnerable students. 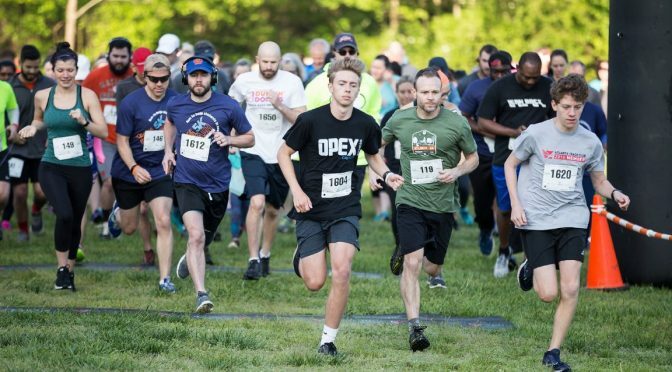 For pictures of our involvement with the Orange Duffel Bag Initiative 5K 2018, click here to view photos. What is the Orange Duffel Bag Initiative? The Orange Duffel Bag Initiative is a non-profit organization that provides at-risk teens and young adults with programs proven to improve their education, success, ongoing advocacy, support to their guardians and caring adults, and service to the community in a spirit of offering hope and positive systemic change. If you would like to get involved with the Orange Duffel Bag Initiative you can click here to learn more or click the button below to donate to this great cause.